Home > Realty - Affordable Homes > Budget 2017–18 - A step out from the old to the new for Affordable Housing..! Budget 2017–18 - A step out from the old to the new for Affordable Housing..! Budget 2017–18 is the Indian economy’s step out from the old to the new in many ways. The government, as planned, introduced its Budget for 2017–18 on the first day of February to facilitate expenditures right from the beginning of the new fiscal year starting April 1st, a departure from the older convention of hitting it on the last working day of February. Again, for the first time, the Union Budget included the railway budget as a part of its own budget, departing from the convention of keeping the railways under a separate budget. has a lot in store for the agriculture, rural, infrastructure and real estate sectors, without sounding populist! housing, mandating the applicability of the concept of carpet area rather than the saleable area – another step out from the old to the new. Budget 2017–18 provides benefits to the home loan seekers and developers. While lending infrastructure status to affordable housing, it has revised the definition of affordable housing as homes with carpet area of 30 square meter in metros and 60 square meter for others, instead of saleable area. It provides that under the scheme for profit-linked income tax deduction for promotion of affordable housing, carpet area instead of built-up-area of 30 and 60 square meter will be counted. four metropolitan cities, for the rest of the country, including in the peripheral areas of metros, the limit of 60 square meter will apply. to two years with revision in base year from 1-4-1981 to 1-4-2001 for all classes of assets including immovable property. For the rural population, the Budget has increased the allocation for Pradhan Mantri Awaas Yojana (PMAY) – Gramin from Rs.15,000 crore in BE 2016–17 to Rs. 23,000 crore in 2017–18, with a target to complete one crore houses by 2019 for the houseless and those living in kutcha houses. Increased allocation of funds under PMAY only strengthens the prospects of Housing for All to be a reality by 2020, which the government is keen on. projects to come under this scheme, making it more relevant for Tier I and metropolitan cities. completion of all projects – from three years to five years, thus enabling developers to take up affordable housing projects that are generally large scale. LTCG tax from three years to two years is likely to help enhance the marketability of real estate as an asset class. on prudence in fiscal discipline by the government, as underlined in the Budget, is expected to prompt RBI and in turn the banks to usher in a lower interest rate regime and help homebuyers. Further, theeasing of cash crunch post the demonetisation drive is only expected to help this segment regain momentum. 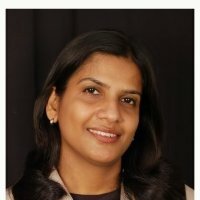 Ms. Kaveri R Deshmukh, Vice President – Research, Knight Frank (India) Pvt. Ltd.